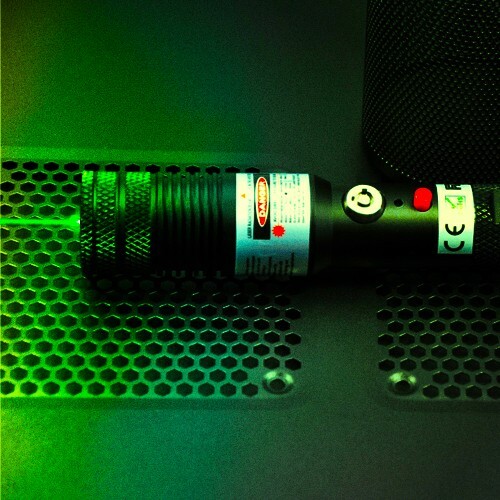 The high power 700mW portable green laser has perfectly fulfilled people in need of an extremely powerful laser. It adopts aircraft used aluminum alloy material, provides you the most powerful and brightest pointing in military force, laboratory experiment, confidential use and medical treatment etc. 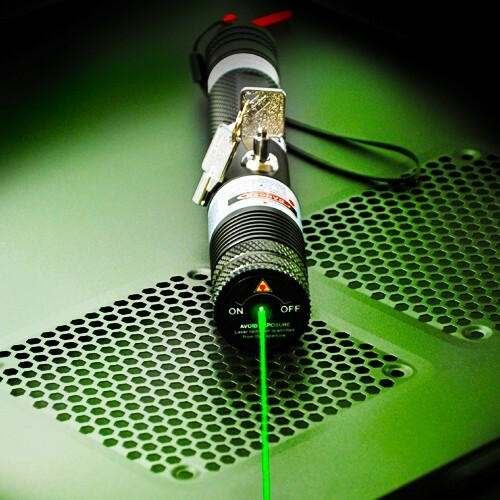 700mW portable green laser is an extremely great breakthrough of the laser diode technology. 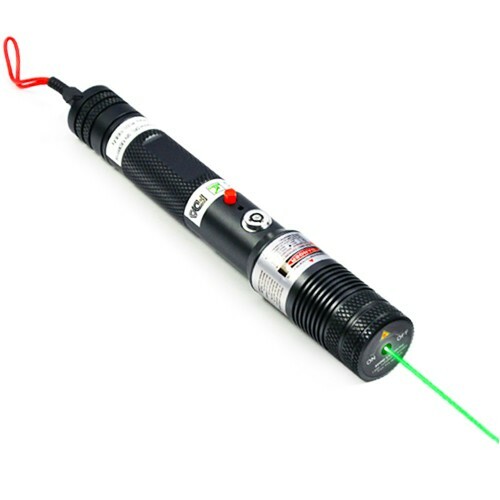 Powered by 1 pc 18650 battery, this high power green laser projects the most powerful green beam and light spot, and achieves a long life time of more than 8000 hours. ● Strict safety design standard. 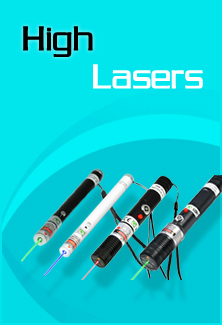 This is a FDA approval laser that is totally legal for any appropriate, non-commercial private use. 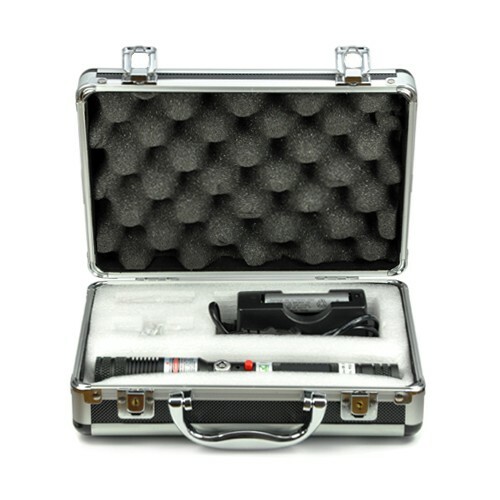 Dual safety key design and extra on/off lens cover prevent any possibility of being abused or improper operation with unauthorized access of this powerful portable laser. ● High Efficiency and Stable performance. 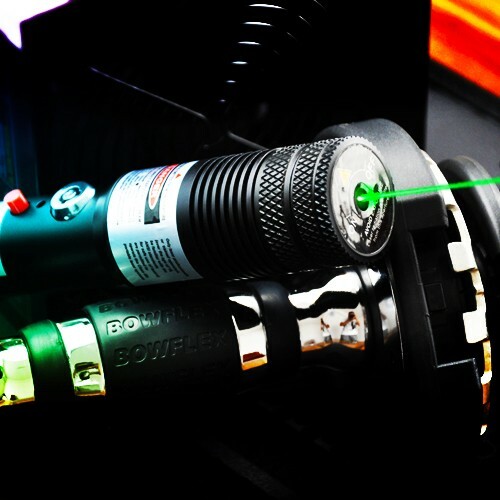 This focus adjustable 700mW portable green laser allows free focus of the beam dot through adjusting aperture focusing mechanism in front of the laser head. It adopts the most advanced thermal control system of metal heat sink to obtain stable performance in constant output pointing. ● Long distance beam visibility. 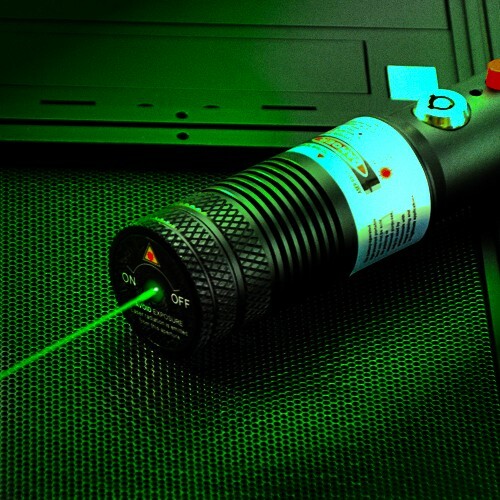 532nm portable green laser emits the most sensitive green light to naked eyes, projects the most visible and longest distance laser beam is the wild. You have a total control of laser beam nearly 8000 meters. ● Never stare at the high power laser, and pointer it at another person, animal and moving vehicles. ● Please always remember wearing laser safety goggles whenever holding a high power laser pointer.